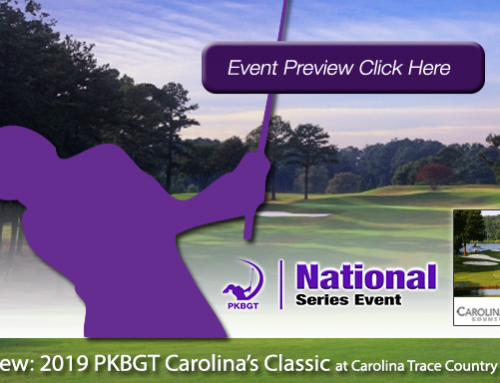 On Saturday, January 26, the Peggy Kirk Bell Girls’ Golf Tour completed the first round of the PKB Foundation Classic at the Country Club of North Carolina (Cardinal) in Pinehurst, NC. A layer of crystalized frost blanketed the grounds early in the morning at CCNC, with temperatures registering in around 25 degrees at the expected starting times. While the course defrosted, players and spectators kept warm inside the clubhouse as the tournament’s start was placed on delay. As the greens defrosted and the temperature climbed above the freezing point, the delay was lifted. The players gathered around the practice green and shuttled out to their respective holes for a shotgun start. At 11:30 AM, players teed off and the tournament was underway. We take a look at the leaderboard as it currently stands! 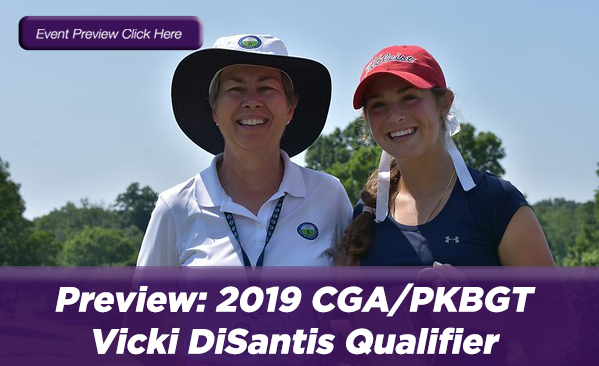 Leading the 25 player Bell National field after the first round, with a score of 76 (+4), is Kristin Jamieson (Hillsboro, OH 2019). Jamieson took advantage of the Par 5’s on CCNC’s Cardinal course, with birdies on Hole 11 and 15. She added a third birdie on Hole 7, bringing her total to three on the day. 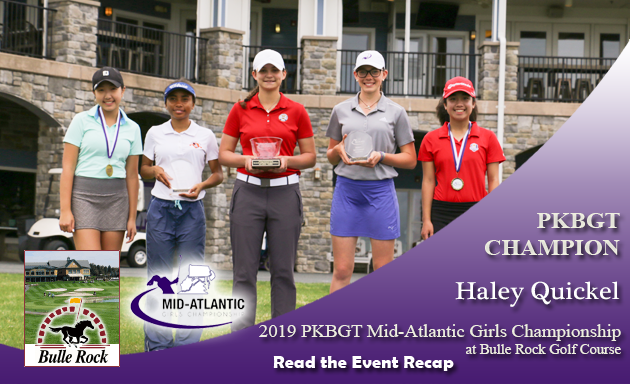 Sitting in second place after a first round score of 77 (+5) is Melanie Walker (Burke, VA 2022). Walker played consistently throughout the round and made two birdies on the day. 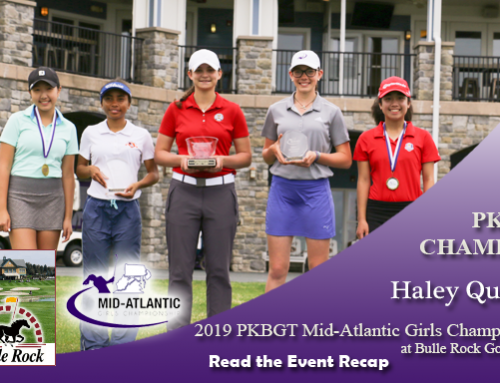 In a three-way tie for third place with scores of 79 (+7) are Angelique Seymour (Fayetteville, NC 2019), Cori Langford (Blythewood, SC 2020) and Yeon Joo Kim (Seoul, Republic of South Korea 2019). Langford went on a tear in her back nine, scoring four birdies in the first five holes. Seymour and Kim each made two birdies on the day. Currently leading the 33 player Futures National field is Lauren Denhard (Salisbury, NC 2019) with a score of 76 (+4). 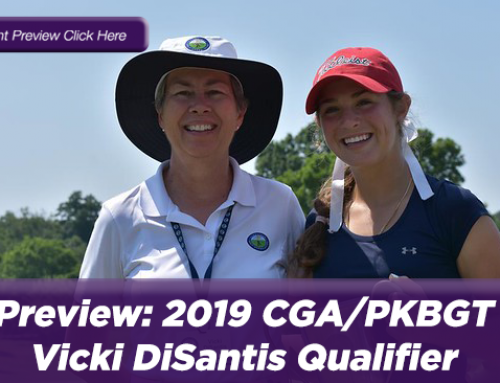 Denhard produced a strong back nine, with three birdies in that portion of her round. 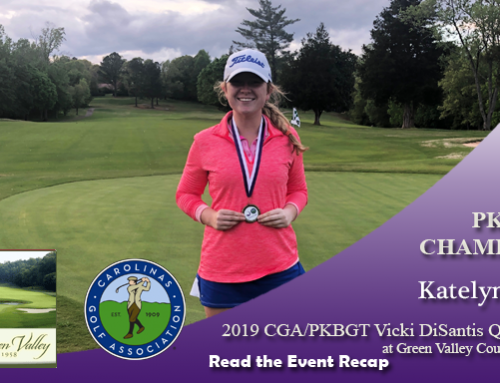 Trailing Denhard by one stroke with a first round score of 77 (+5) is McKenzie Daffin (Fort Bragg, NC 2021). 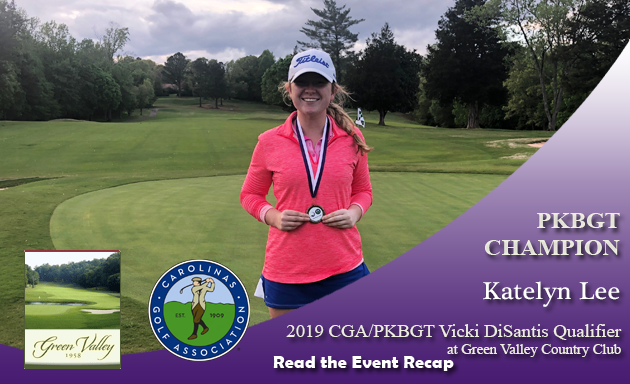 Daffin spread five birdies throughout her round, including a streak of three-in-a-row between Holes 1 and 3. Grace Ridenour (Cary, NC 2025) is currently in third place after a score of 83 (+11) through one round. 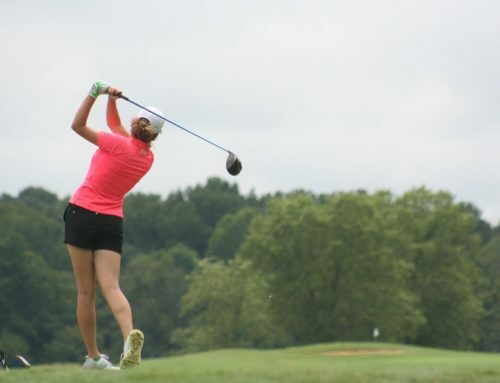 Ridenour found her stride on the back nine where she parred six holes in a row. Rounding out the top of the leaderboard, in a tie for fourth place, are Emma Landis (Virginia Beach, VA 2020) and Madison Messimer (Myrtle Beach, SC 2025) with a score of 84 (+12). Landis made two birdies on the day. 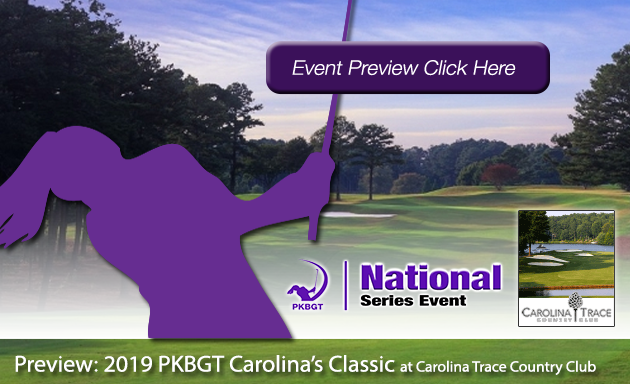 The second and final round of the PKB Foundation Classic at CCNC (Cardinal) tees off Sunday morning, January 27. It looks to be an exciting and close finish in both divisions. We wish all of our competitors the best of luck in the preparation for their final round!